Check out our class locations, pricing, additional training videos offered at no extra charge at www.crestllc.com. !!!!!!!!!!!!! !Call about additional early registration discounts!!!!!!!!!!!!!!!! NEW-CREST NOW GIVES YOU ACCESS TO TRAINING VIDEOS BEFORE AND AFTER CLASS TO HELP YOU WITH RETENTION OF THIS PROGRAM. See website for additional dates and areas. 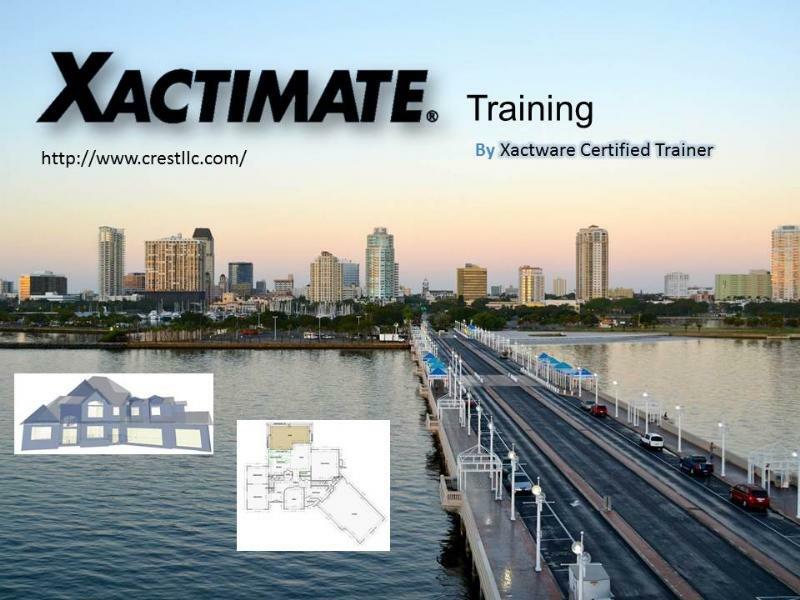 The Xactimate 28 Training Course is designed for new to intermediate Xactimate users. 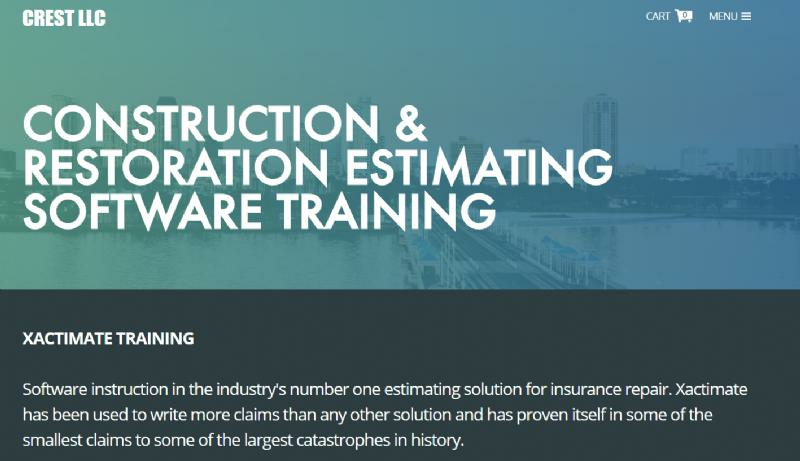 Students in this course will be introduced to the techniques and best practices needed to create small to medium loss estimates using a variety of Xactimate 28 tools. Students will be taught the most efficient ways to set-up, sketch, scope, and deliver professional estimates. 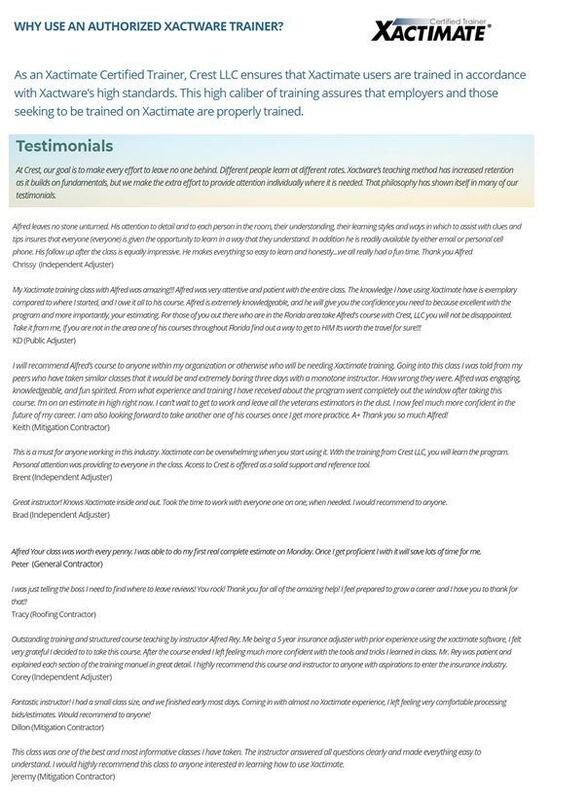 The Fundamentals & Proficiency Class will take you from the very beginning and most basic aspects of Xactimate through the completion of an estimate. This classroom training allows students to see how to perform functions one step at a time & follow along one step at a time. Shortcuts are shown & emphasized along the way to begin developing speed. Keyword searches are also emphasized so that even those without construction backgrounds will be able to find estimate items. This course is a 3 day, instructor-led, interactive classroom training. Presentation, discussion, and classroom exercises are directed by an Certified Xactware instructor. Students complete a variety of practice estimates and hands-on Xactimate exercises. The instructor incorporates the teaching methodology of demonstrate, participate, and practice. After receiving demonstration of Xactimate concepts by the instructor, students participate in discussion then practice the concepts within Xactimate. During the course progression, exercises build on previously taught concepts to provide reinforcement. A 2 day class extension including the certification test is available for select class (must register separately). This classroom training allows students to see how to perform functions one step at a time & follow along one step at a time. Shortcuts are shown along the way to begin developing speed. Keyword searches are emphasized so that even those without construction backgrounds will be able to find estimate items. Go to our website @ http://www.crestllc.com/ for class schedules. If you are interested in Crest LLC, coming to your area, please contact us through our website. Corporate rates for in house training are available.